Extensive snowsure high altitude skiing with lively village atmosphere. High in the Paznaun valley in the heart of the stunning Silvretta mountains, the fashionable, alpine village of Ischgl presents some of the best skiing in Austria. An efficient high altitude lift system and beautiful scenery make Ischgl a true paradise for skiers. Renowned for its superb après ski, Ischgl is a lively and compact village with a wide choice of beckoning bars and nightspots. Galtür is a pretty and unspoilt little village with its own 40km ski area and linked to neighbouring Ischgl by a frequent bus service, free with the lift pass. Galtür is a pretty little village nestling deep in the heart of the beautiful Paznaun valley. 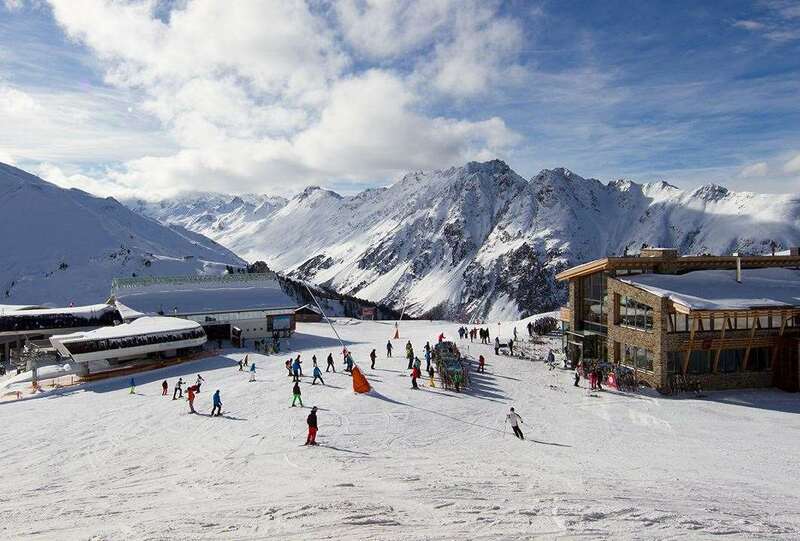 With its own 40km ski area and linked to the magnificent Ischgl region by a frequent bus service (free with the whole area lift pass), it is ideal for beginners and guests who enjoy superbly groomed and uncrowded slopes. The north facing high altitude slopes already make for great snow throughout the season but with the added snow making facilities across most of the pistes skiers can be guaranteed frequent snow coverage throughout the entire season. Ischgl has some of the best après ski in the Alps. There are a wide range of bars and nightclubs (many are part of resort hotels) as well as special events throughout the season. The Trofan Alms has been named the #1 Aprés ski bar in the world on several occasions and it's neighbour, The Schatzi Bar, is famous for it's bar tops dancers in their own very short version of the traditional Dirndl. Also ty: · Pacha Nightclub (Hotel Madlein) · Feuer & Eis · Kuhstahl · American-themed Allegra Bar · Down Under · Kitzloch · Fuchsloch · Tenne. Ischgl has a good range of restaurants, with a mixture of themes ranging from traditional to Mexican, fine dining to pizza. Try: · Salz & Pfeffer · Grill Alm · La Bamba · Goldener Adler · Trofana Alm · Kitzloch (for fondue). A ski holiday in this famous resort wouldn't be complete without accommodation in just the right spot. Browse our great range of Ischgl hotels now or take a look at our latest property, the Chalet Hotel Abendrot, to finish off your perfect break away. Ischgl is one for the bucket list. Everyone needs to experience this resort at some point and it is a brilliant place for a family ski holiday. There is loads of skiing to be enjoyed and it’s a really fun place with loads of outdoor activities and a wide selection of mountain restaurants. Ischgl boasts the longest toboggan runs in the Alps, perfect for adventurous families! There is a fantastic beginners area with an easy access magic carpet take you up the easy slope. The intermediate and advanced skier have access to loads of skiing, and even a world class fun park for those that like to fly! There is a range of food options available to cater for all budgets, from the basic self-service up to fine dining. Ischgl has 14 mountain restaurants and ski lodges in the Silvretta Arena. Ischgl sells itself when it comes to groups skiing. Iglu Ski has a range of accommodations to choose from and we offer hotels that can give us a large allocation of rooms to accommodate big groups. The Skiing, the Après and the nightlife that Ischgl offers is up there with the best, it just comes down to how much energy you and your group have… You will certainly have a story or 2 to tell the next morning! About 90 minutes drive away is Innsbruck airport (62 miles from resort), other surrounding airports are Munich and Zurich which are about a three hours drive or bus transfer from Ischgl. Ischgl is like St Anton but on steroids. The skiing and lift system are very impressive, didn&#39;t stand in a queue at all. 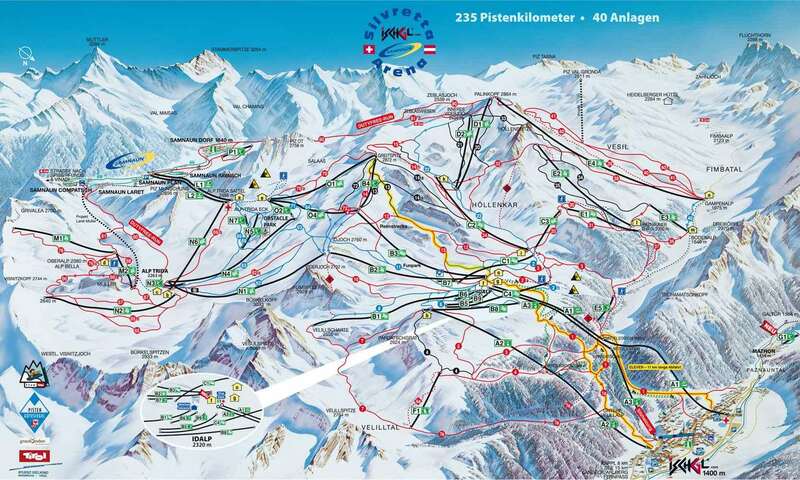 Really big ski area, lots of off piste and great on mountain restaurants. Apres was wild and would go back at the drop of a hat. First time in Ischgl. Great resort excellent for good intermediates. Lots of bars and restaurants in the town. Most good value for money. In my opinion better than other Austrian resorts like Saalbach or Mayrofen. Much better ski area and choice of bars etc. Hotel Binta was great, friendly, nice breakfasts, all in all a great trip.